CLOSEOUTS. 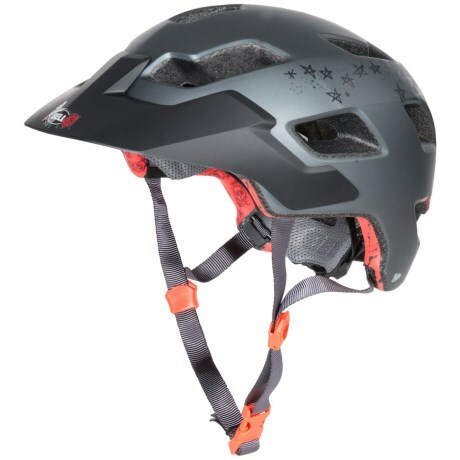 With a mountain bike friendly style and ample ventilation, Bell Stokerand39s bike helmet has extended rear coverage and a removable visor. Available Colors: BLACKRED HAZE, MATTE BLACK, MATTE TITANIUM, WHITE.SILVER HAZE, MATTE RED EMBLEM, MATTE WHITESILVER BRAILLE, MATTE RETINA SEAR, MATTE TITANIUM BRAILLE, MATTE DIA DE UNICORN. Sizes: M, L, S, XL. Your browser isn't supported for displaying eBay items. Go to eBay to search for Bell Stoker Mountain Bike Helmet For Men and Women.